So, when cooking with The Man, things usually revolve around the grill. I’m not complaining, because I happen to love anything cooked on a grill…but as I’ve said before, I won’t use a grill by myself. You say lazy, I say…lazy. Great, so we agree! 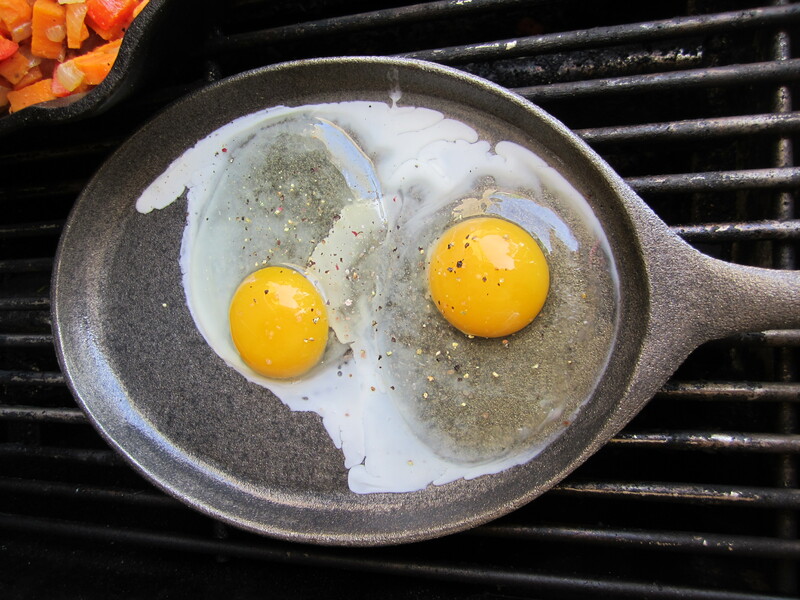 I do have to say that I wouldn’t have considered making breakfast on the grill, but I was very pleasantly surprised. 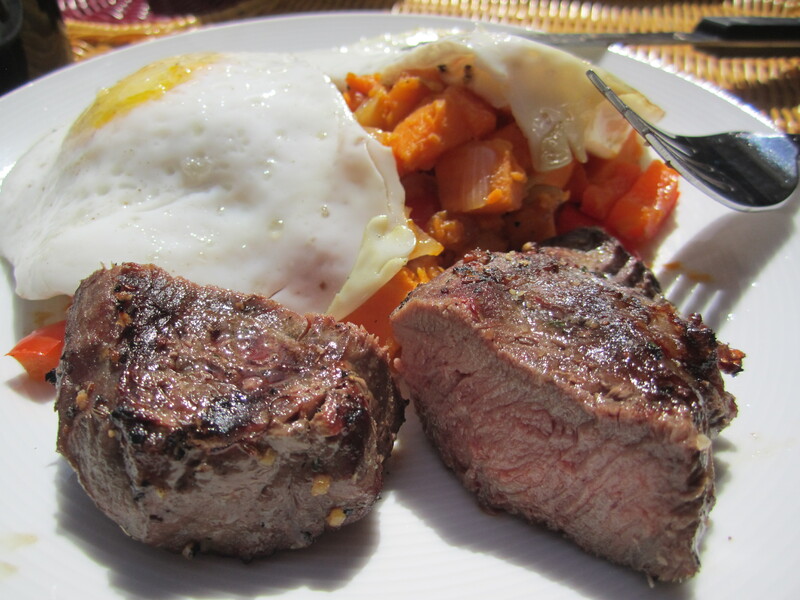 We had some steaks thawed that we needed to eat, and what goes better together than steak and eggs? 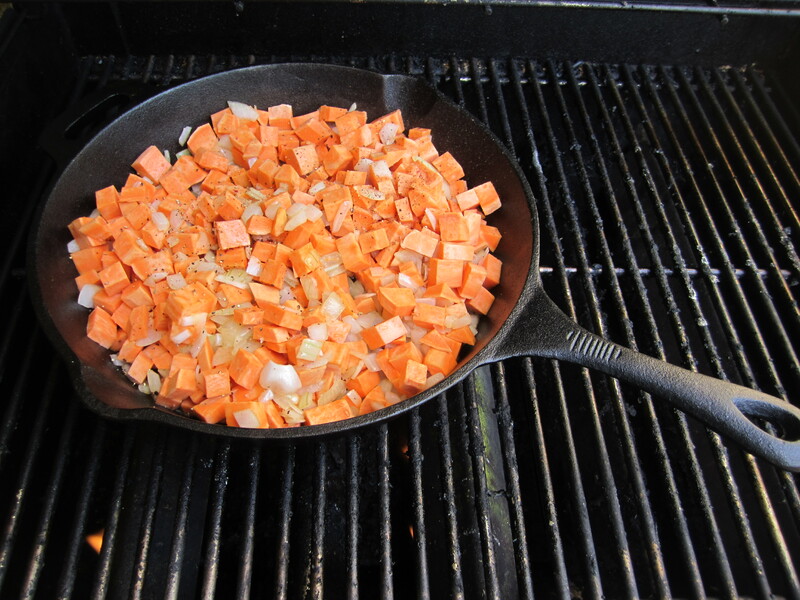 We also had an abundance of sweet potatoes, so we whipped up a batch of sweet potato hash to go with. Dinner was a little more elaborate – and actually did NOT involve the grill! Shocker, huh? We’re still working on the whole food photography thing. 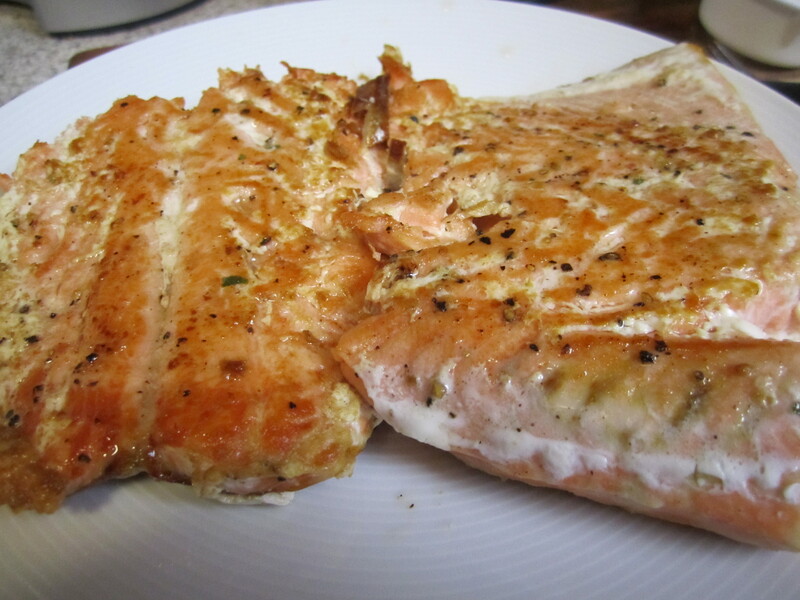 Anyway – I pan fried some salmon and kept it incredibly simple – cooked in coconut oil and seasoned with just salt and pepper. 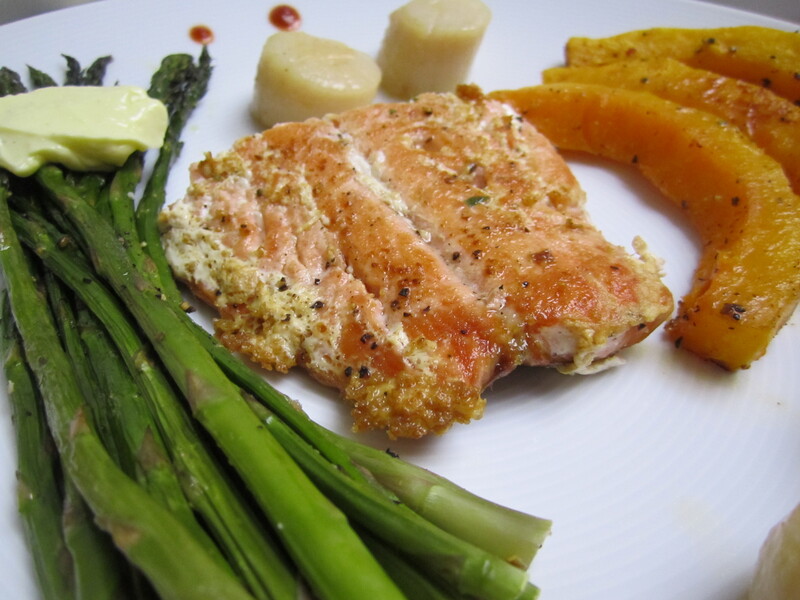 I can’t tell you how long it’s been since I cooked salmon with so few spices. And can I tell you? It was delicious! Sometimes it’s the simplest things that taste the best. 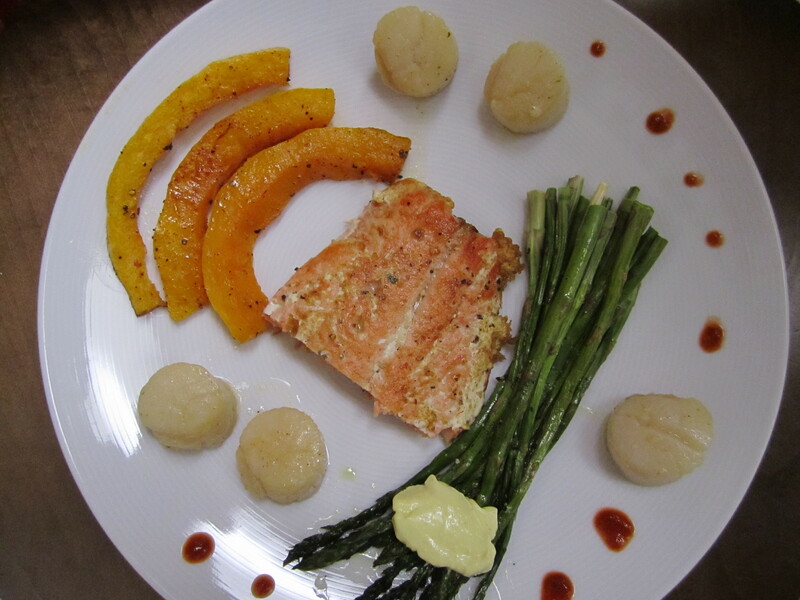 The Man made scallops, and we roasted some butternut squash and asparagus on the side. As I’ve said before, you can’t go wrong with roasted veggies as a side. But the best thing about tonight’s dinner? 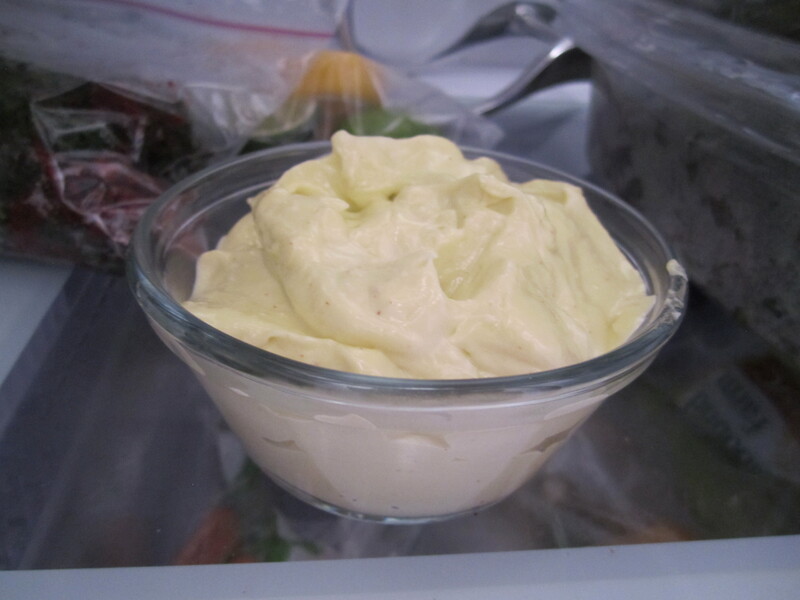 We made homemade mayo/aioli again! 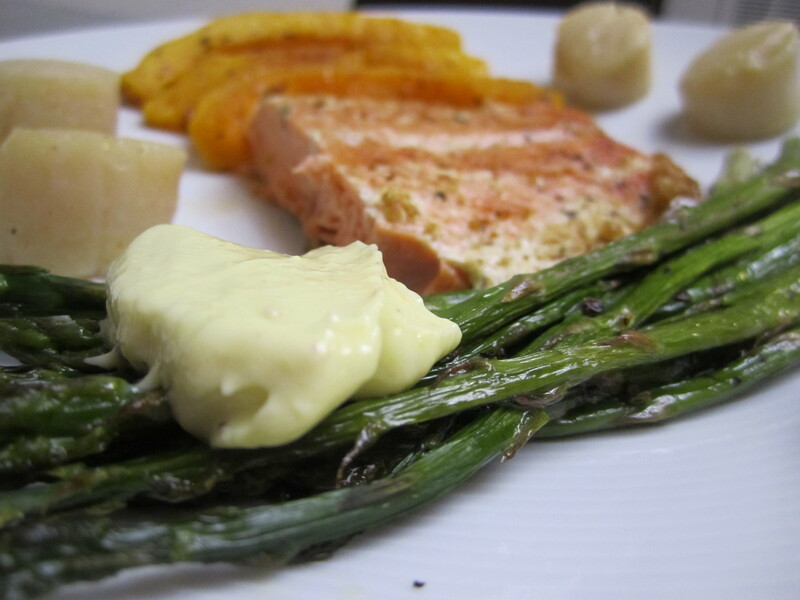 This time we added garlic and just a bit of dijon mustard to give it a kick – which was a beautiful complement to the simplicity of the salmon and the vegetables. And it turned out even BETTER than the last time – I think a blender works better than a food processor, just in case you try to make your own. It was deliciously creamy and had the perfect mayo consistency. And the other best part? Another Whole 30 approved meal (two, if you count breakfast), from me to you! Happy Sunday, all! I hope you enjoyed your weekend! Posted on 22 April 2013 17 May 2013 by BeePosted in Breakfast, Seafood, TravelTagged california, condiment, main course, seafood, Whole 30.